Airtherm Engineering Limited are pleased to announce the appointment of Mr Bob Berrett, who joins our vibrant and enthusiastic team of individuals, in the capacity of our South East & Central London Area Sales Agent. 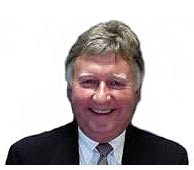 Bob Berrett has 40 years technical sales experience in commercial and industrial heating & ventilation. Bob has worked for some well-known recognised blue chip companies in the industry and will be a welcome addition to the company. Andrew Brown , Director at Airtherm Engineering Limited , said “We are extremely delighted of the appointment and honoured to acquire such a well-known character of the industry to join our sales team. I have known Bob since the mid 90’s and his track record is exceptional." Airtherm have also appointed Technical Sales Engineers covering the North East, North West, London, Yorkshire, East Midlands, West Midlands, & North Wales. If you have any enquiries in these locations or others, please call our office on 0844 809 2509 or email us - info@airtherm.co.uk.